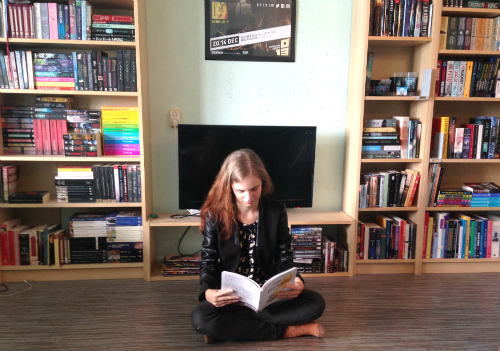 We are introduced to America and the strict caste society she lives in in The Selection. She joins the contest in becoming Prince Maxon’s wife, and makes it to the last six contestants. But now Aspen, her childhood flame, is a soldier in the palace, her love life is suddenly a lot more complicated. 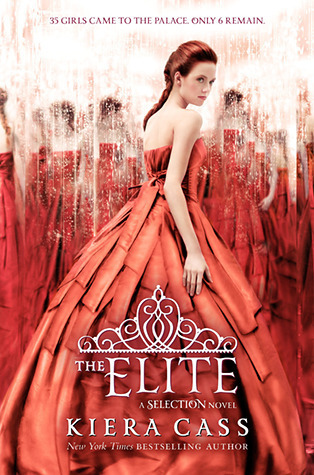 Where The Selection was light-hearted fun, The Elite is a bit heavier reading. At the start of the first book Maxon and America are friends, until they grow into something more by the end of it. Now America is a huge mess, and the entirity of The Elite is marked by her confusion. One moment all she wants in life is to be a queen with Maxon – the other she wants to marry Aspen and go back to how things were, only now they might be a bit better with both their elevated statuses. Kiera Cass writes in an incredibly readable way, and fills her books with nice secondary characters you would love to be friends with, and enemies you love to hate. A few minor inconsistencies aside, The Elite continues in the same vain as The Selection. I find these books very addictive light reading, and I’m enjoying binge reading them. Bring it on, The One!